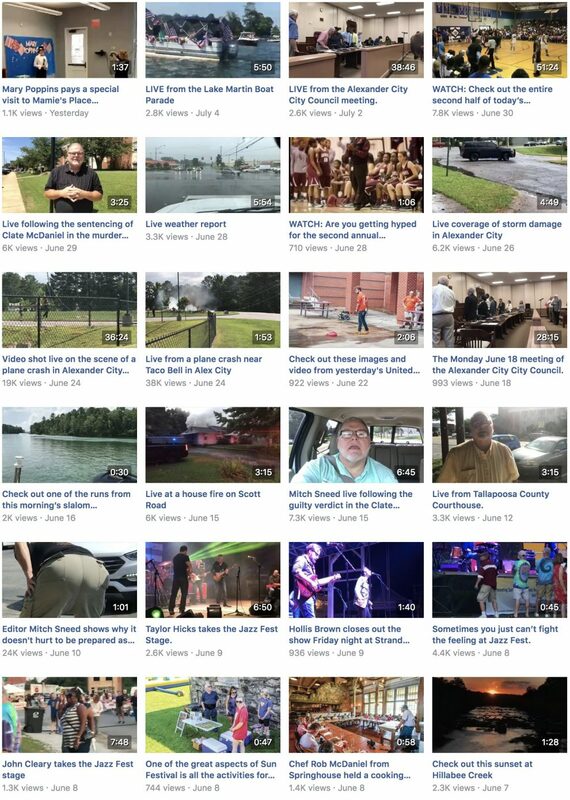 July 12, 2018, 12:14 p.m.
A bet on live video, a busy news year, and maximizing staff talents let the Alexander City Outlook increase its digital ad revenue 80 percent in a year’s time. By Marlee Baldridge July 12, 2018, 12:14 p.m. But in the Alabama Piedmont, the Alexander City Outlook, print circulation of around 3,250, somehow managed to boost its digital ad revenue more than 80 percent in 2017 — from $56,000 to $104,000, Editor & Publisher reported recently. So how did the paper do it? Alexander City is a town of 14,773 people. While in many respects “Alex” City is just another small town outside of the more metropolitan city of Montgomery, the town newspaper, with a staff of three full-time reporters plus a managing editor, is anything but. But first, Steve Baker — who had an extensive background in newspaper publishing and digital sales, including as publisher of the Capital Journal in Pierre, South Dakota — was brought in to lead the newspaper in 2016. It wasn’t as if The Outlook had been struggling: The traffic numbers for the website were strong, and so were engagement levels on Facebook. Baker wondered what they could do to capitalize on that. Hardy, who had been working on digital part-time, advanced to the position of full-time digital coordinator, bringing camera experience and interviewing skills to video. Angela Mullins, The Outlook’s business manager, researched and found new tools for the newsroom to use on a budget. Mobile reporting is relatively cheap, and video on Facebook proved to be a huge part of boosting revenue. While other papers have seen Facebook news traffic declining, The Outlook’s main audience can still be found on that platform, where its videos regularly get thousands of views. (Not bad for a town of 14,000.) The new sports editor, Lizi Arbogast, was hired in part for her videography work. “People just jumped on board with skills they had outside of their job descriptions,” Baker said, emphasizing the team effort. To chalk up The Outlook’s accomplishments entirely to timing, however, is to underestimate the creativity that went into the expansion. The Outlook solicited a local marina to sponsor its coverage of the local bass fishing tournament. Pregame features for football proved to be big moneymakers for The Outlook. (Alex City has produced no fewer than 10 professional football players, including soon-to-be Hall of Famer Terrell Owens.) With an app called Switcher Studio, the paper was able to use multiple iPhones (which staff already had on hand) to film the same event on Facebook Live, while also throwing a sponsor’s logo over the broadcast. That also helped The Outlook provide something that the local radio and TV station couldn’t: live and immediate coverage not limited by commercial breaks or highlight reels. The Outlook has always had a strong brand in print, Baker said. “But think about when you go to the restaurant, and everyone’s sitting across from one another on their phones. We wanted to reach everybody.” According to Mullins, 75 percent of traffic to The Outlook’s website now comes from mobile devices. In the future, Baker hopes to up their technical game, showing full-sized commercials on video feeds and using lower-thirds for interviews. The Outlook also launched an in-house digital ad agency that’s positioning itself to be the go-to for any marketing solutions people in the area might need. 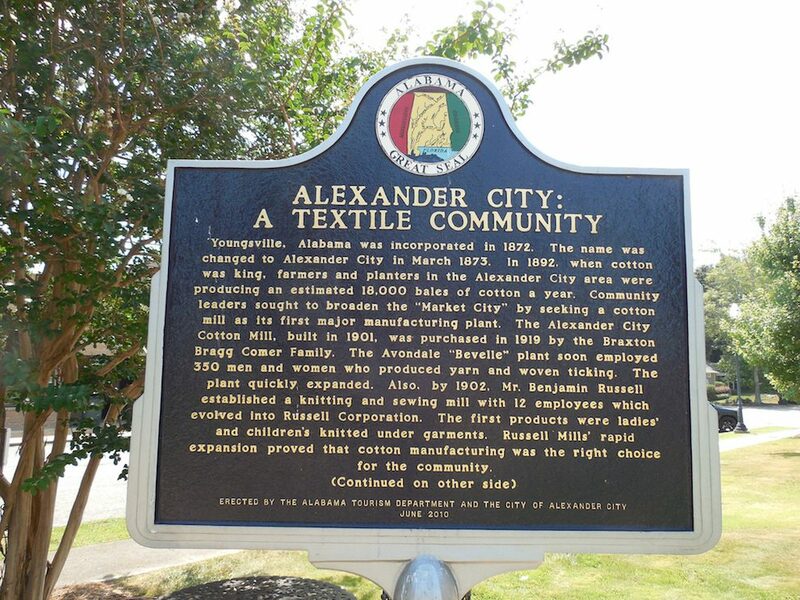 Photo of Alexander City historic marker by Jimmy Emerson, DVM used under a Creative Commons license. POSTED July 12, 2018, 12:14 p.m.
Baldridge, Marlee. "In Alabama, a small-town paper is figuring out digital advertising — and they’re doing it live." Nieman Journalism Lab. Nieman Foundation for Journalism at Harvard, 12 Jul. 2018. Web. 18 Apr. 2019. Baldridge, Marlee. "In Alabama, a small-town paper is figuring out digital advertising — and they’re doing it live." Nieman Journalism Lab. Last modified July 12, 2018. Accessed April 18, 2019. https://www.niemanlab.org/2018/07/in-alabama-a-small-town-paper-is-figuring-out-digital-advertising-and-theyre-doing-it-live/.